I consider myself to be pretty tech savvy, but a technological advance has slipped away from me unnoticed. My son is in Spanish II this year and I had a CD-Rom from several years ago I thought would help him practice. It hadn’t been used in years, and I never threw it away because I thought one of my children would need it one day. Well that day came and as we inspected the seven devices we have, we learned that none of them have disk drives….GASP!!! My son calmly informed me that people aren’t using compact disks via computer anymore. Everything is downloaded now. So what do I do with all of the educational CD’s? 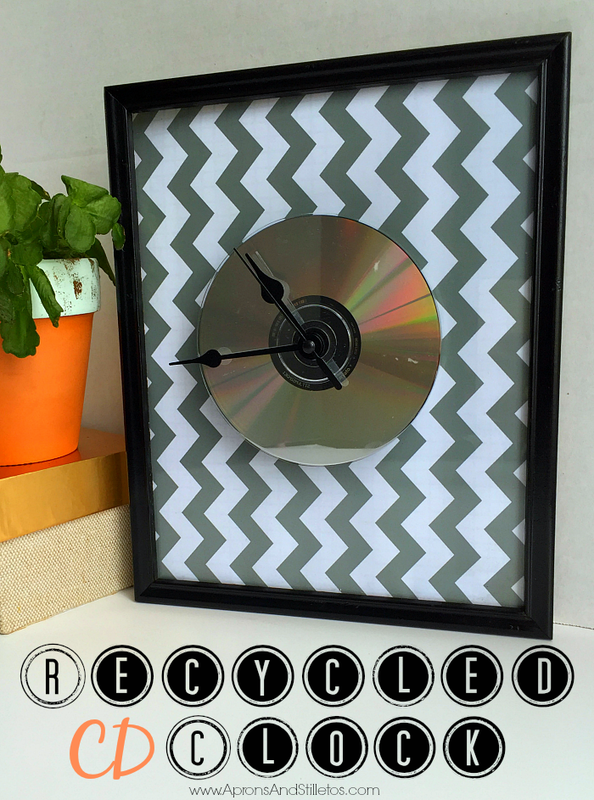 I decided to repurpose them starting with a fun DIY recycled picture frame clock. To make the clock, I’m using several recycled items to give you and idea of how you can repurpose things instead of trashing them. 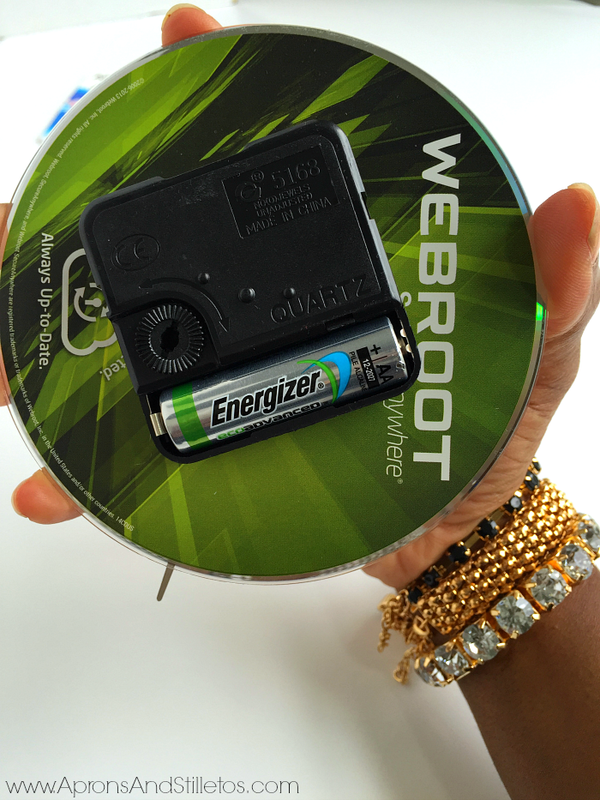 I start by using Energizer® EcoAdvanced™ batteries which contain four percent recycled material by total weight. 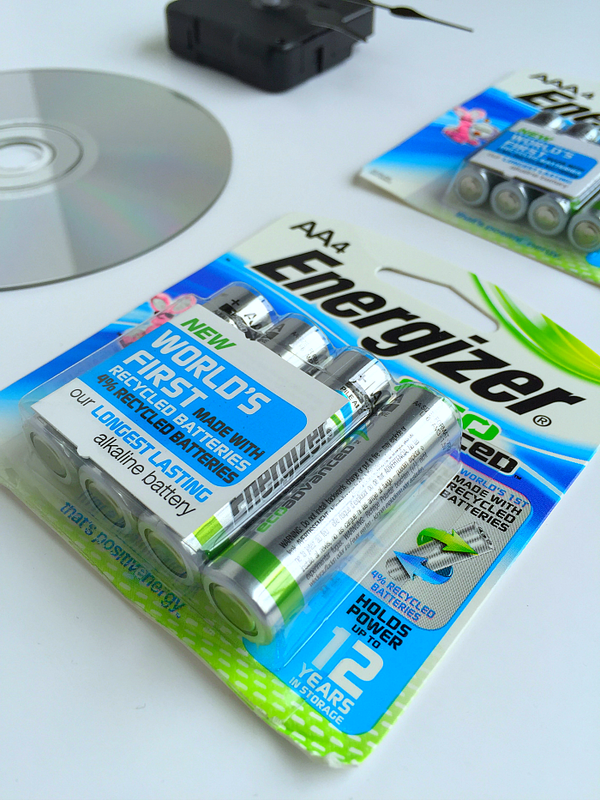 Energizer® EcoAdvanced™ creates value for recycled battery materials – which until today had little use or economic value. 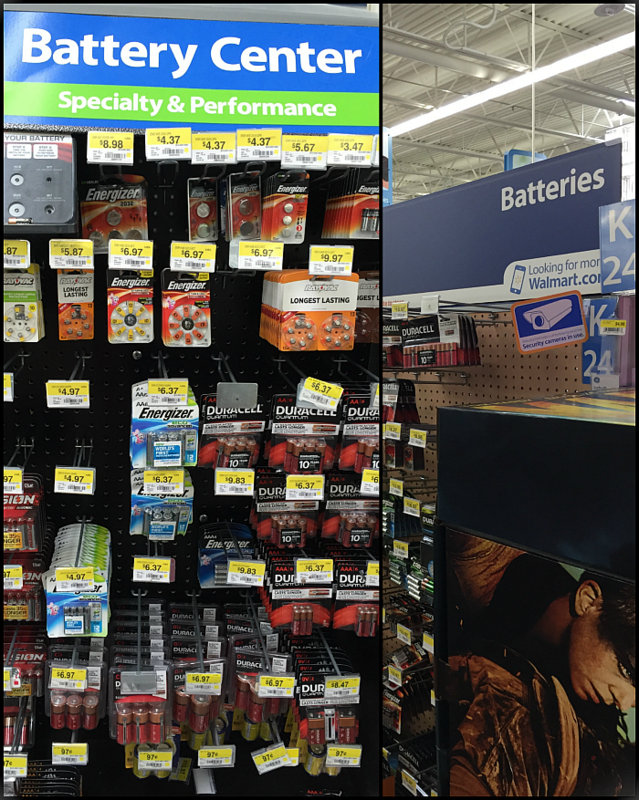 The batteries are available at Walmart in AA or AAA and are the world’s first AA battery made with 4% recycled batteries”. For this project I’m using AA, but also grabbed some AAA for my household remote controls. 1. 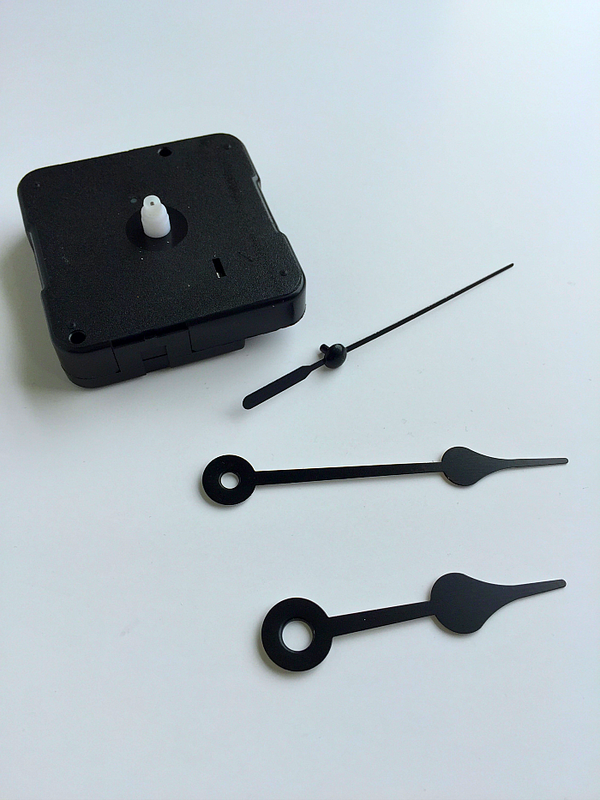 Separate the battery casing on the clock kit from the movement hands. 2. Attach the battery casing to the back of the cd using hot glue. 3. Replace the movement hands and insert one Energizer® EcoAdvanced™ battery . 4. Line the inside of a small frame with contact paper. 5. Attach the assembled clock kit and cd to the glass surface of the frame using hot glue. I can go in so many direction with this project in terms of switching out the contact paper design to match my decor. 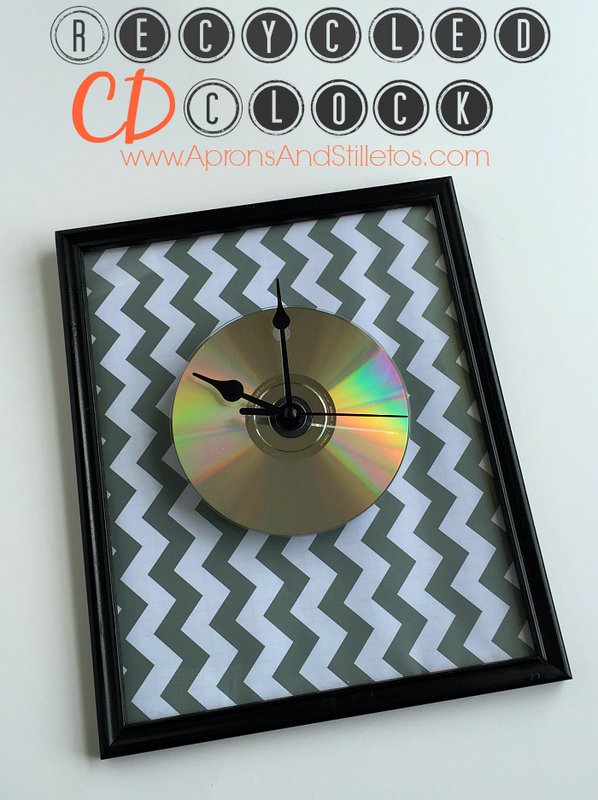 I can even mount the CD portion of the clock on a wood block for a more rustic look. I’m thinking of making several of these clocks in different styles as Christmas gifts this year. 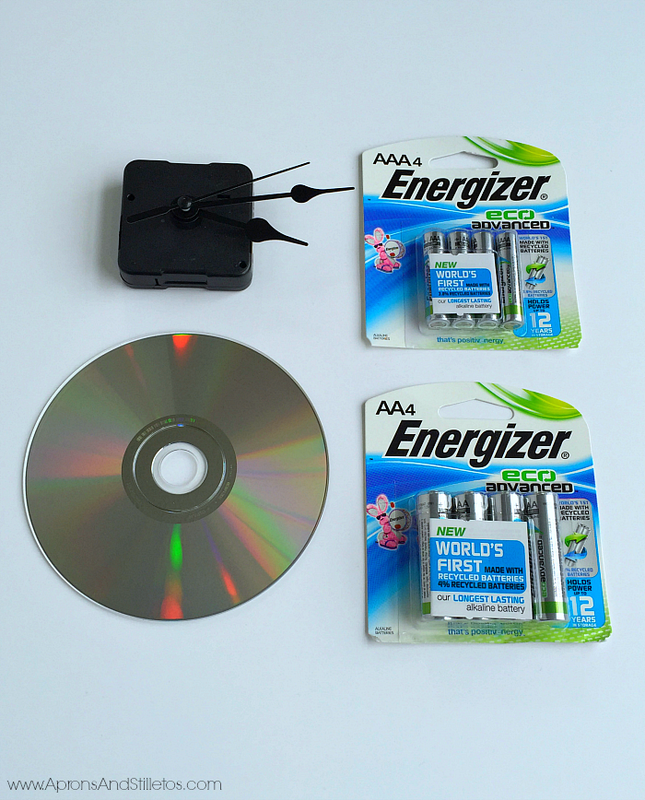 The total cost of this project was under $11 and included just the clock kit and Energizer® EcoAdvanced™ batteries. Everything else I had on hand. I hope this gave you some ideas for inexpensive gift ideas or homemaking projects. Now that I’ve shared a simple recycled DIY with you, I’d love to know how you feel about hand made gift giving or receiving. Carolyn you're super crafty so I know yours would turn out nice. Wait… people don't use CDs anymore?! I do. Yikes, guess I should be really nice to my computer then. This post gave me a great idea! 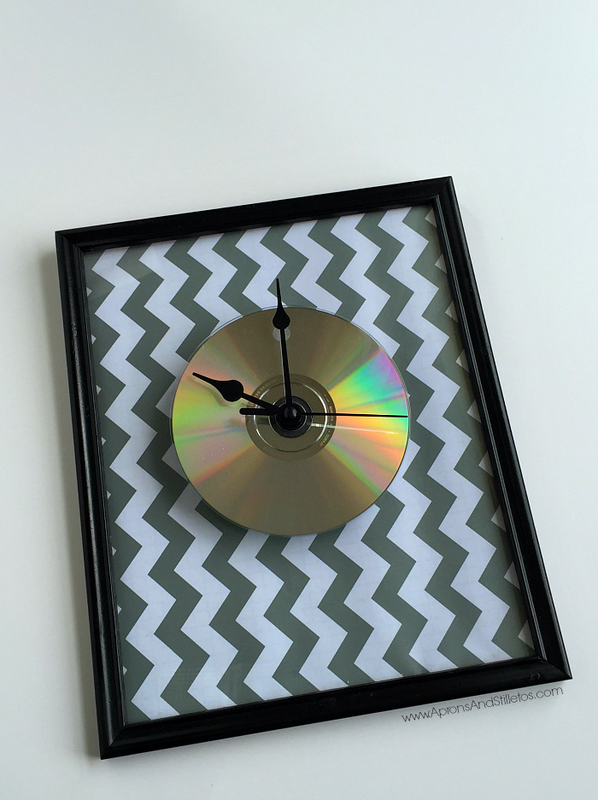 Wouldn't a record look awesome as a clock? A record would be fab!! I don't even own records anymore. Thanks friend.